There has been much hype around Marvel's transition from the big screen to the small and we finally have our first idea about how Joss Whedon and Kevin Fiege will satisfy fans super hero appetites in between their massive feature films. I have always been weary of TV shows that originate as spin-offs from movies (or from other TV shows for that matter), but as this was simply going to fall into a rather familiar primetime genre and wasn't going to try to make a super hero mini-series, but a look at the liitle-seen government agency in the background of the big movies there was reason to believe it could work. That and Clark Gregg's Agent Coulson has become somewhat of a fan favorite by this point and that he would be heading it up lent the series a whole other level of credibility (and hey! even Cobie Smulders shows up for a few scenes as Maria Hill). Though it is impossible to gauge how the entire series will turn out by simply watching one episode it at least gives us an indication of how the makers plan to structure this and how it will intersect with the movies it will be correlating with. 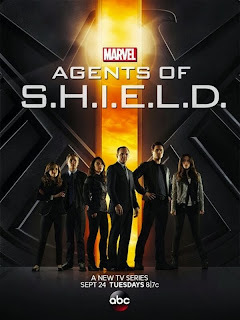 I highly doubt that Agents of S.H.I.E.L.D. will directly tie-in or effect any of the events that occur in Thor: The Dark World, but we may see some easter eggs in Captain America: The Winter Soldier and most certainly in The Avengers sequel should the series be successful enough to make it more than two seasons. Given that idea I think it's necessary to give these characters a shot and see how well they can expand the Marvel cinematic universe as that is after all, the point. Whedon, who created the show and wrote the pilot with his brother Jed and his wife Maurissa Tancharoen, is a series that sports his signature humor (which I've never been particularly attracted to), but does well to manage a large cast of characters and keep the audience engaged and on its toes enough that I will continue to watch if not simply because it has "Marvel" above the title, but because I want to be in the know when I walk into their movies in the future. That may sound like a rather bad justification, but as of right now it is the only strong kind I have.I realize I just stated that it kept me engaged and on my toes which makes the show entertaining, yes, but not out of the ordinary. I like the Marvel movies and I like how the powers that be continue to push for ways to expand this universe they are intent on building, but despite these aforementioned positive attributes that keep it from being boring the show so far seems little more than an excuse to put its name on something and throw in a minor supporting character from the films that might bring in a few more bucks. I would like to think that this material is closer to Whedon's heart than that though and this alone gives me hope that the show won't simply turn out to be another government agency procedural with S.H.I.E.L.D. on the back of their jackets rather than C.I.A. The silver lining to this doubtful nature is the way the pilot involved elements from the movies. In fact, if you saw Iron Man 3 (which was coincidentally released on DVD & Blu-Ray yesterday) you'll know the mention of Extremis played largely into the plot of that film as well as hearing plenty of other references that include the super soldier serum that created Captain America and even some talk of radiation that would pertain to a certain green monster. This was all well and good and I was glad to see the opening scene of the series deal directly with the fact this followed the aftermath of the climactic battle in The Avengers. That the series will embrace its origins rather than trying to stray from them is what will determine if this show lives or dies. 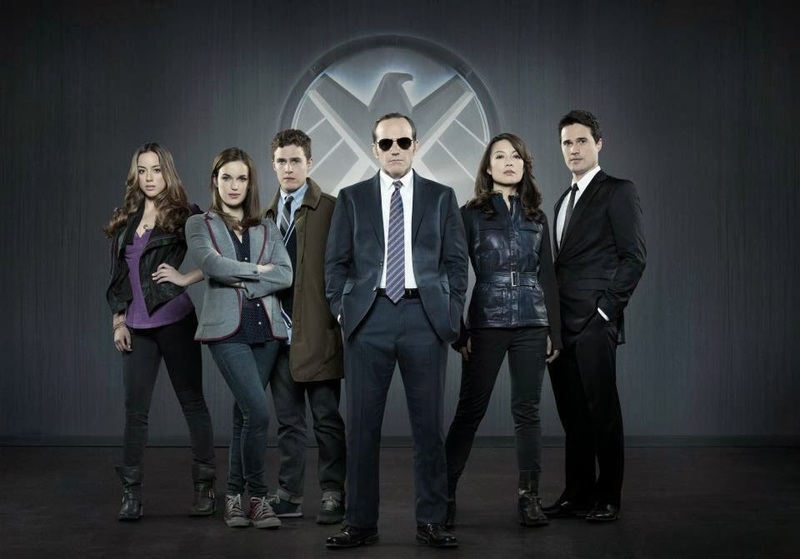 and Brett Dalton in ABC's Agents of S.H.I.E.L.D. Maybe the biggest issue I have with the show so far though is that we have a cast of young, good looking people who don't seem able to embody the experience they are supposed to have that have earned them these positions in the coveted S.H.I.E.L.D. organization. Brett Dalton (which sounds like the ultimate upper-class Caucasian name) is hot shot secret agent Grant Ward who keeps acting like he isn't interested in working as part of S.H.I.E.L.D. 's team that Coulson is putting together, but he needs to hurry up and get over that archetype and admit he is in the coolest division he could hope to be a part of. To the writers credit and in part to Dalton, he does seem to be coming around to this realization by the time the first show ends which bodes well for us in that we might not get tired character types for too long. Where this doesn't seem as likely though is in the tech support duo for Coulson's team. "Cleverly" called Fitzsimmons both Fitz (Ian De Caestecker) and Simmons (Elizabeth Henstridge) are specific nerdy techies with accents who don't fare well when placed in social environments. They aren't asked to do too much in the pilot, but should they grow more prominent the act could grow tired while if used sparsely they might suffice as comic relief while not being completely original or funny upon first impression.We also don't see much of Ming-Na Wen's Melinda May here, but I'm guessing her layers will slowly be peeled back over the course of the season as there is clearly a reason her name resonates with her fellow agents. 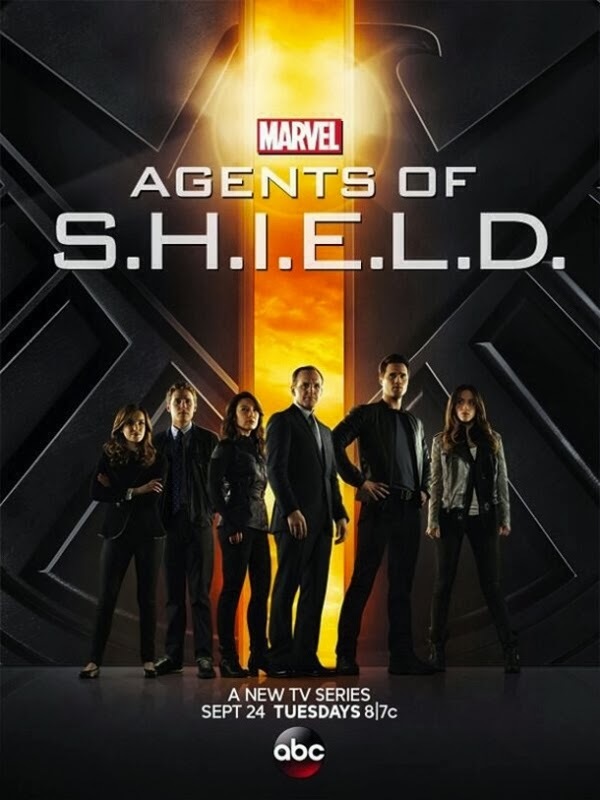 I was surprised at the inclusion of J. August Richards Mike Peterson as he is the first character we are introduced to and right off the bat we are set to believe that there might be some inclusion of beings with other-worldly powers included in the main through-line of the show. That his character goes through a serious arc in this first episode sets up what will no doubt be a major plot line this season and at least hints at the fact that Whedon and his crew have an idea of where they'd like this show to go given the opportunity. While Agents of S.H.I.E.L.D. may not have immediately struck me as a great show or even a promise of great things to come it was nothing short of entertaining. It also has the distinct advantage of being the closest thing to a guaranteed success these days and so there is a budget here that allows for bigger set pieces and special effects that don't look cheap and are executed with real skill. Chloe Bennet (Nashville) gets the meatiest role up for grabs (naturally, as this is the type of role Whedon writes best) in the same vein as Buffy, as she is a hacker known as Skye that is eventually revealed to have given us the ominous opening monologue. Besides her computer skills though, Skye has a serious fascination with the newly revealed super heroes that exist in the world and when she gets wrapped up in the plight of Mike Peterson she also gets wrapped up in the going-ons of S.H.I.E.L.D. and deciding whether or not she trusts them and wants to help them figure out the truth behind Peterson's abilities. I'm hoping that the show continues to give Bennet's character and the rest of Coulson's team the emphasis and how their actions tie into helping the big picture problems at the hands of Nick Fury and The Avengers rather than making the heroes the highlight of the show. It is known people would be more than excited to see Iron Man or Bruce Banner show up at random at some point and kudos if they can get Downey Jr. or Ruffalo to do so, but this should be a show about the people who don't seem to matter as much, who don't have all the influence and are ignored for the most part. This show is reason to shine a light on those people and push them to the forefront. If the show is able to expand the world of the Marvel Cinematic Universe, great, but if it is also able to help us see the inner-workings of what goes unseen on the big screen more power to it.